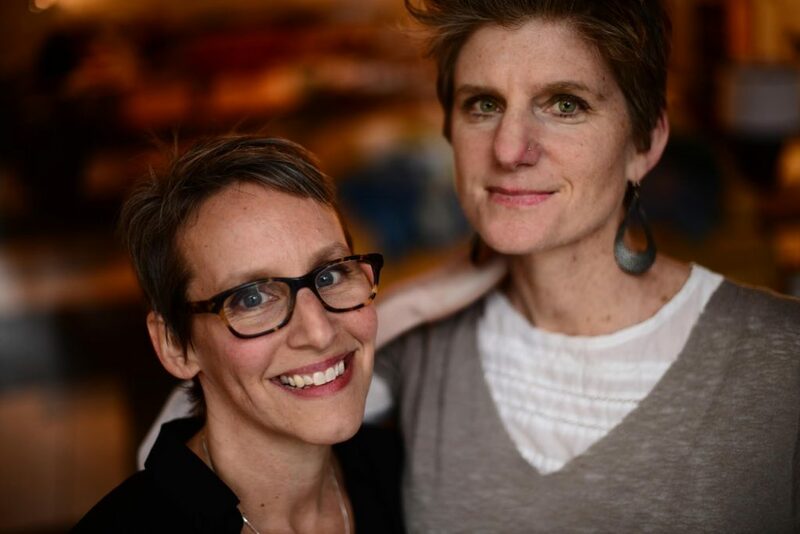 Maya Stein and Amy Tingle created Creativity Caravan, a studio, gallery and imaginarium with the belief that everyone can be and is creative. Creativity Caravan focuses on creativity, collaboration and community. Photo courtesy of Creativity Caravan. Maya Stein and Amy Tingle of Nutley, N.J. founded Creativity Caravan as a mobile business nearly four years ago. As they purchased and refurbished a vintage trailer (a 1965 Covered Wagon), they envisioned that their company would spark, engage and nourish creativity in communities everywhere. “We believe creativity can change lives by building self-confidence, harnessing imagination, helping to practice problem-solving and bridging differences. 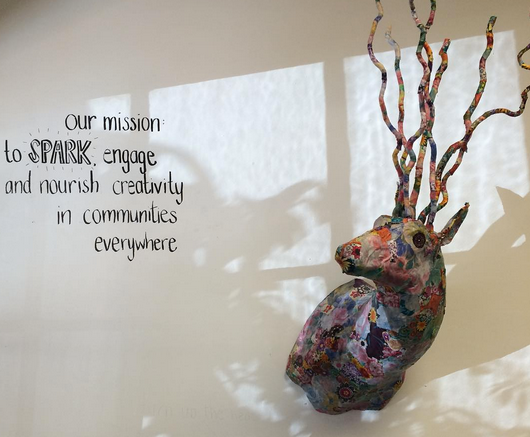 Our programs are centered on the joy of discovery and power of collaborative learning, and we offer a wide variety of art and writing experiences for kids and adults of all ages and abilities, as well as special events, art exhibits and art residencies,” said Stein and Tingle. The two exuded excitement as they announced their new location of their creative art studio at 28 South Fullerton Ave. in Montclair, N.J. The Creativity Caravan previously shared space with BasemeantWRX on Walnut Street. “The Montclair community has been especially receptive to our work. There’s a love and support of creativity here in a lot of ways. It’s in the restaurants, the retail offerings, the Montclair Art Museum, the schools, the library, the literary scene, the recreational opportunities and the farmer’s market. There’s just this sense that variety breeds community rather than distracts from it or, worse, takes away from the heart and soul of a town,” said Stein and Tingle. Stein and Tingle both have backgrounds and work histories in publishing and editing as well as a variety degree of art-making. Stein worked in magazine publishing until 2000 and has been a freelance writer and editor ever since, along with a stint in owning and running a small catering business for five years. Tingle was a children’s book editor at Simon & Schuster and began leading art and self-empowerment workshops for girls in 2009. As they had been working independently as artists and writers for a long time, deciding to merge these passions into a collaborative business happened relatively quickly after they met, it just seemed right. “We don’t teach in the traditional sense. We don’t tell you how to write a poem or how to paint a watercolor. Instead, we design experiences that invite curiosity and engagement through experiential learning, but also focus on the individual as offering up their own particular creative expression and wisdom, and how that’s vital to add to a community of voices,” said Stein from Tingle. Photo courtesy of Creativity Caravan . For more information about The Creativity Caravan, visit www.thecreativitycaravan.com. One Response to "Creativity Caravan Calls Montclair Home"